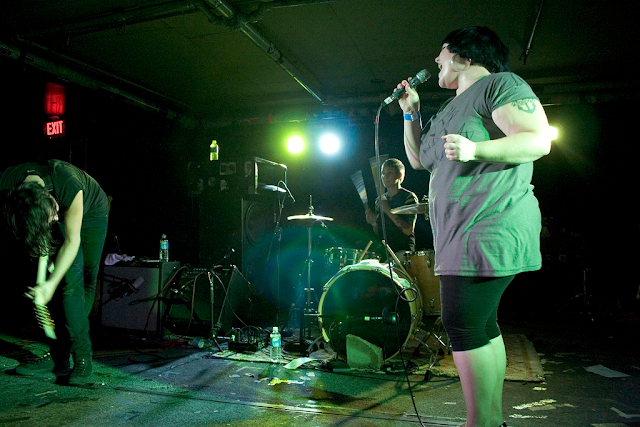 Gossip (formerly The Gossip) is a three-piece post-punk, dance rock band from Olympia, Washington, led by the notorious Beth Ditto on lead vocals with guitarist Brace Paine and Hannah Blilie on drums. Gossip is currently my band of the moment and their lastest, Music for Men, is fast becoming one of my most replayed albums. I was completely unaware of the existence of the Washington rock trio until late one evening, I left my television on while doing some massive web redesigning. I turned around from my desk to see Last Call with Carson Daly playing and was entranced and intrigued by the band I saw performing. Needless to say, that band was Gossip and I was impressed with lead singer, Beth Ditto's trademark dance moves and energy on stage. I quickly looked up the band and their discography and gobbled up their latest release, Music for Men. This album has so much energetic appeal with catchy yet meaningful songs like "8th Wonder", "Pop Goes the World", and "Men in Love". 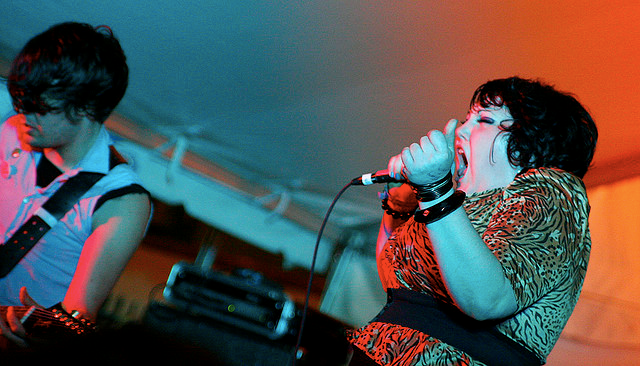 Gossip blends identifiable rock tunes with an indie sensibility and punk attitude. Each track layers emotional lyrics and feelings with a great rock and roll edge. Music for Men was Gossip's major record label debut and sort of a rebirth from their previous albums, showing an evolution and clear maturity in their sound, showing the polish of their songs. The Rick Rubin produced album is a medley of minimalist rock, disco, and garage rock in this strange package of delightful instrumentals and lyrics. The themes of love, relationships, and their power recur frequently and fluidly. Gossip's stripped down, but ambitious, and fully-formed rock songs blend genres and musical stylings while maintaining a classic appeal and boisterous sound that packs a powerful punch. Music for Men is a deeply intriguing, enjoyably emotional record that plays as a series of anthems about love and gender. Gossip and their music are clearly on the rise.